✓ Worked with Thousands of CPA Firms throughout the Florida, USA & now Canada. National and Regional Firms are buying accounting practices at a record pace due to above average growth in population and industry in South Florida relative to the rest of the country i.e. aerospace, technology, medical, professional services, etc. The majority of large firms need a South Florida presence since they all have at least some larger clients with offices or headquarters here, and of course, they all have or want a home here. The day of the Sole Practitioner is nearing its end; its inefficiency is characterized by an endless cycle of too much work, too little growth, too little pay, yielding the proverbial “death at one’s desk”! Two motives; one to “GAIN MORE RESOURCES” the other “GAIN MARKET SHARE” – It is simply too slow and costly to grow organically. 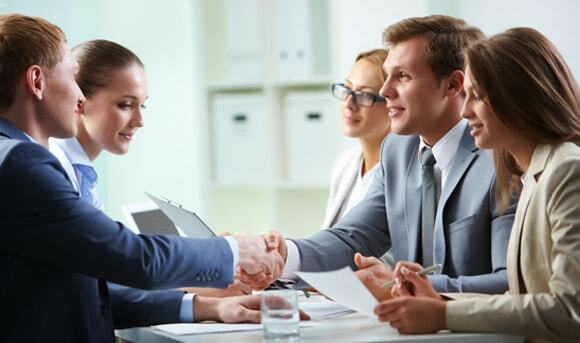 Accounting practice sales, or merging practices, is the most cost efficient and expedient strategy to expanding or exiting your practice for countless reasons. Call us directly to chat about your succession or expansion plans, and how we can help you (Live Consulting). It’s never to early to begin planning your exit or business development plans. We are the only consulting firm that has PUBLISHED A BOOK on the subject, “The Complete Guide to Successful Mergers and Acquisitions of CPA Firms”. 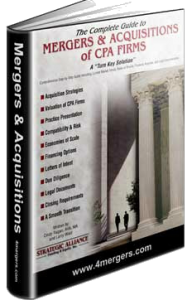 This Guide documents every step of the process complete with financial analyses, compatibility and risk, legal contracts, and dozens of useful lists, forms and procedures for the merger or sale of CPA firms. 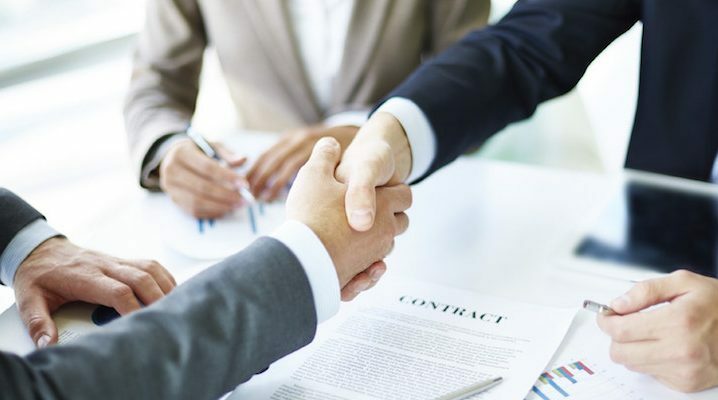 But perhaps more valuable, are the many real life examples included that demonstrate how other firms have handled specific negotiations, financing, consulting agreements, and dozens of other issues that necessitate careful consideration and resolution. Our CPAs, MBAs, and CVAs speak around the country for CPE credits on how to plan an Exit Strategy NOW in order to obtain the highest value for your practice once you are ready to sell. 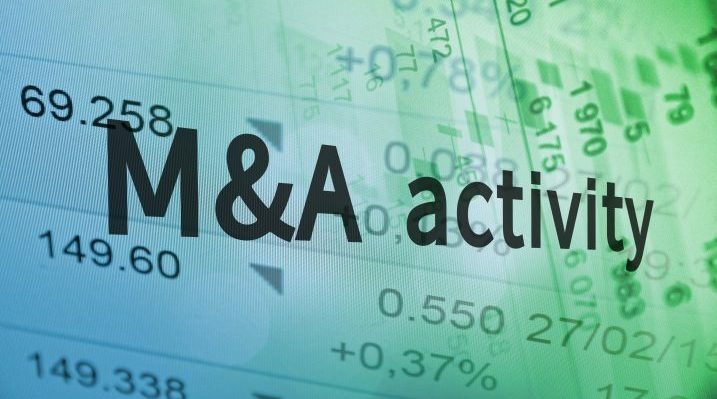 We also hold MERGER SYPOSIUMS which demonstrate how a merger can create many of the opportunities that may not be within reach without partnering with another firm. Whether you are looking to implement a short or long-term exit strategy, buy out a partner, or sell an interest in your firm, or buy a firm – we can help (link to Live Chat). Click Here To Learn More About Our Book! Built By Creative Marketing Co. In 60-Minutes we'll find an answer to your most pressing question for Buying, Selling, Mergers or Practice Management.